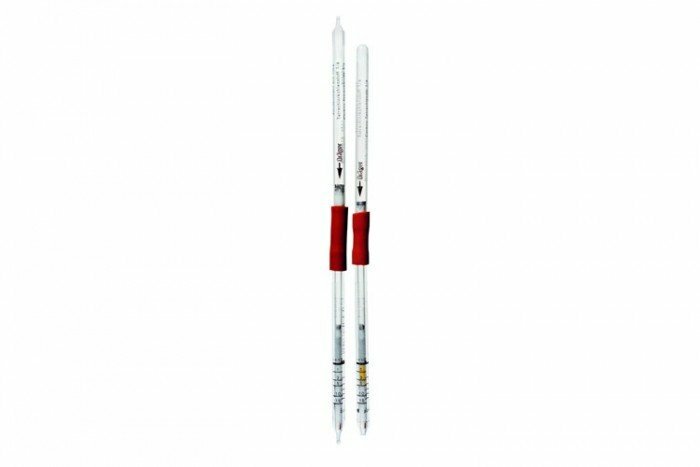 These carbon tetrachloride tubes from Drager Safety have a measurement range of 1 to 15 ppm. They are also able to detect chloropicrin and come in a pack of 10 tubes. The short-term detection tubes have a shelf life of 2 years. Click here to view more information on the compatible Drager Accuro Gas Detection Pump for short-term detection tubes. Chloropicrin and phosgene are indicated with the same sensitivity. It is impossible to measure carbon tetrachloride in the presence of chloropicrin and phosgene.